Parking mode is a fancy term for any recording done while your engine is off and your car is parked. It will also free up a cigarette socket in your vehicle which can be left for use with a phone charger or other automotive accessory. Parking mode is a fancy term for any recording done while your engine is off and your car is parked. It will also free up a cigarette socket in your vehicle which can be left for use with a phone charger or other automotive accessory. For parking mode recording, it always requires hardwiring cable connects your camera to your car’s battery through the fuse box. VIOFO A129 Duo dash camera support two different type hardwire kits cables, the general two wires HK2 hardwire kit cable and three wires HK3 ACC hardwire kit cable. With HK2 hardwire kit, you can connect the cable with camera directly or through the GPS mount. The camera will switch to parking mode recording after 5 minutes if no motion detected and no G-sensor impact, and switch back to normal recording if detected G-sensor trigger or GPS speed is above 8KM/h(This require the camera support GPS logger). The HK2 cable will cut off the power supply while the battery voltage is around 11.6V ~ 11.8V. 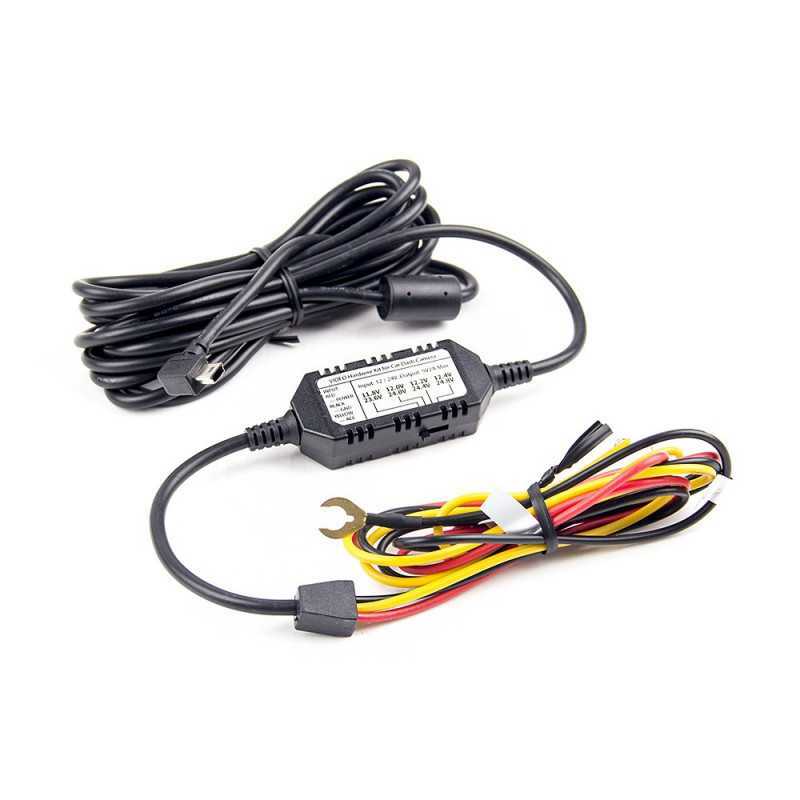 Compare to the HK2 cable, the HK3 cable support set a voltage threshold which cuts power to your dash camera when it drops below the set number. It has four voltage options 11.8V, 12V, 12,2V, 12.4V. Also with the ACC detection feature, it support switch to parking mode automatically if the car engine off, and switch back to normal recording after car engine on. Please notice this auto switch between normal recording and parking mode recording only works if the cable is connected to the camera directly, not through the GPS mount. Please note that HK3 cable can work with A119/A119S/A119PRO dash camera as well, but the ACC detection feature is not available. 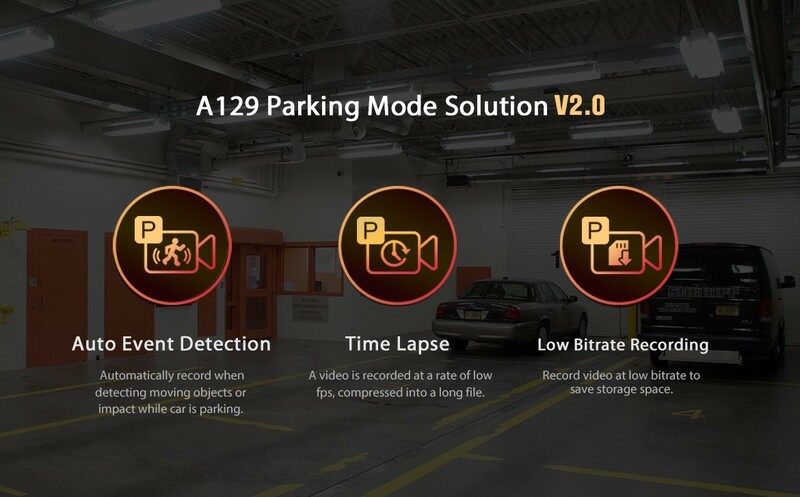 The A129 dash cam support three parking recording modes, auto event detection, time lapse and low bitrate recording. 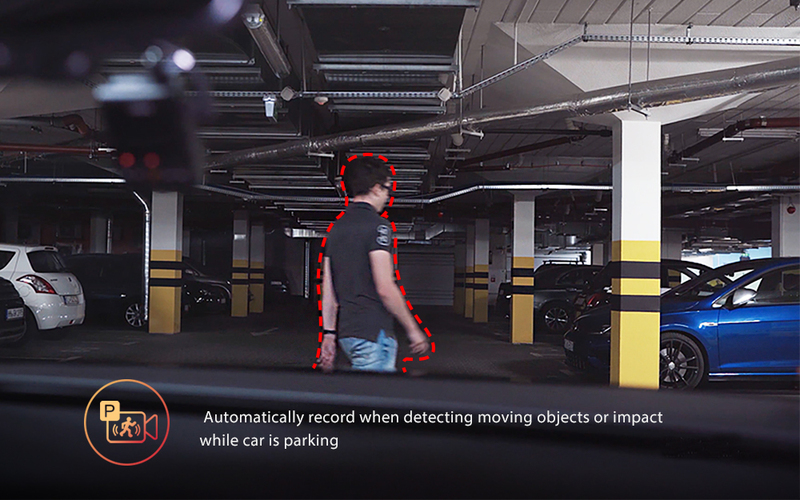 The camera will record for 1 minute while a moving object is detected while parked and stop recording if no new movement. Time lapse records a video at low frames like 1/2/3/5/10/15 fps. It keeps recording continuously, this avoids any failures which can happen with motion detection especially under low light. The downside is that you may miss details like license plates, as well no audio is captured which could identify people who may have damaged your vehicle. This mode record video in low bitrate 4MB/s for both front and rear. 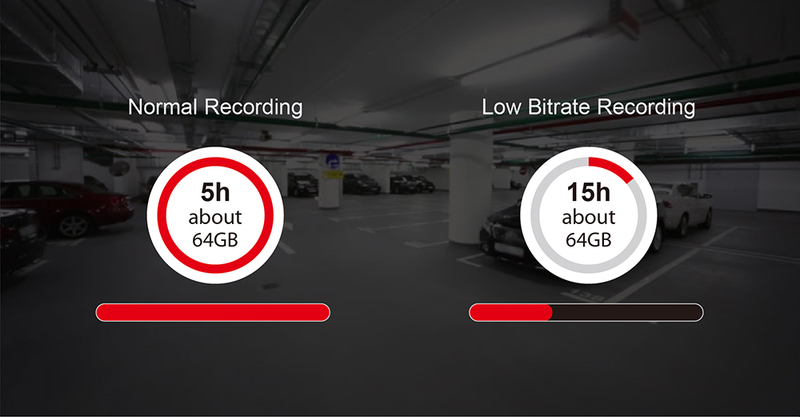 It keeps recording continuously in mini file size, reduce a little video quality will help to save card space and can record longer time in parking mode.